Since 2010, the Cannes Creative Leaders Programme has been a unique opportunity to step inside the minds of global entrepreneurs, risk-takers and creative leaders. With 34 years of advertising experience, leading award-winning teams at Leo Burnett International, Michael Conrad went on to establish the Berlin School of Creative Leadership, recognising low quality "Creative Leadership" as the main reason for low quality standards in creative industries. “By challenging convention, the Berlin School has set out to educate and inspire a new breed of thinkers and leaders in creative enterprises.” Michael Conrad has presided over many juries of international advertising festivals including Cannes, AdFest, Clio, and Drum. Since her initiation into DDB Worldwide, North America, Wendy Clark is credited as a fundamental factor in the agency’s reinvention and success in the marketplace. Clark believes that “the days of force-fitting clients into fixed agency models are gone” and that working in customized cross-agency teams to create bespoke client solutions is the future of successful and agile client relationships. As CEO of Ascential PLC, Phil Thomas is responsible for running a some of the world’s largest festivals and events in fintech, education, retail, and innovation, including the Cannes Lions Festival of Creativity. A true advocate for gender equality, Thomas was recently listed in Management Today’s Agents of Change power list 2017 as one of the top 30 men tackling gender inequality in the workplace. João Daniel is the second-most awarded film director in the world with 41 Lions achieved in Cannes (Including 11 Gold). His production company, Mixer, presents a new concept regarding production for all medias: A complete synergy of its different expertise. With a mission to recalibrate brands to broaden awareness, reframe global positions and re-connect with core customers, leading communications marketing firm, Edelman, was named “PR Agency of the Decade” by both Advertising Age and The Holmes Report. President and CEO, Richard Edelman is regarded as an industry thought-leader and posts weekly to his blog, 6 A.M., about the latest trends, issues and insights in communications. Scott Galloway is Founder & CEO of L2, a research firm focused on helping brands to shape their digital roadmap and achieve greater ROI on human, creative and financial capital. He is also a Clinical Professor at the NYU Stern School of Business where he teaches brand strategy and digital marketing. In 2012, Professor Galloway was named “One of the World’s 50 Best Business School Professors” by Poets & Quants. Susan Credle is the creative brilliance responsible for making the iconic M&M’S “human”! As Global Chief Creative Officer at FCB, Credle furthers their ambition to burnish the agency’s creative product and reputation. 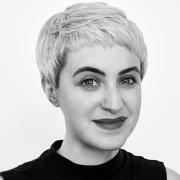 Credle is one of the industry’s leading creatives and an important voice representing women. She has received numerous industry accolades, including CAF’s Chicago Ad Woman of the Year in 2013, and Advertising Age’s 100 Most Influential Women. Andrew Keller is the freshly-appointed Global Creative Director at Facebook's in-house agency, Creative Shop. CCO, Mark D'arcy, describes the newest face at Creative Shop as having a remarkable talent to produce and inspire creative work, as well as his unique ability to "actually look at work and explain what is actually going on so you can learn from it", which aligns perfectly with the agency's mandate. Keith Reinhard, Chairman Emeritus, DDB Worldwide Inc.
Bob Pittman, Chairman & CEO of iHeartMedia, Inc.
Beginning his radio career behind the mic at age-15, Bob Pittman would go on to lead the team the launched MTV while still in his 20’s. Pittman is now Chairman and Chief Executive Officer of iHeartMedia, Inc., which includes iHeartMedia and Clear Channel Outdoor, where he is also Chairman and CEO. In an age of digital disruption, he is a true champion for radio’s ability to provide companionship and value to consumers. Charles Day works with many of the world's most disruptive companies, from iconic global brands to founder-driven industry changers - and he is an executive coach to some of the creative industry's most celebrated leaders. A seasoned Berlin School speaker, Day believes that exceptional creative leaders must combine a consistent set of personal values with the ability to ask ‘Why?’; to question each problem and thought process, so that ‘lazy thinking’ is rooted out. Dana Anderson is dedicated to redefining the future of marketing through wisdom, wit and will. Anderson believes that the biggest challenge to transforming your creative business is “convincing people that innovation, iteration and risk is far more attractive than what is known, proven and ‘safe’”. Jean Lin is responsible for one of the fastest growing, full service digital agency networks in the world, and managing over 5,500 talented digital marketing pioneers in over 85 locations across more than 45 markets globally. Lin was named one of 30 global “Women to Watch” by Advertising Age in 2009; ranked amongst Asia Pacific’s top female talent in 2010 and selected as one of the region’s Top 5 CEOs by Campaign Asia Pacific in 2013, as well as serving as Jury President for the Cannes Lions Cyber Jury in 2015. Described by his peers as an avid leader with unique ability to inspire passion and great ideas in others, Jose Papa has proved himself a pioneer of creativity and progressiveness throughout his career at renowned events division, Ascential, and more recently in his evolution as Managing Director of Cannes Lions Festival of Creativity. Bob Greenberg has been a pioneer in the advertising and communications industry for nearly four decades. He leads the vision for R/GA, an agency that serves as the digital partner for Fortune 500 companies and world-renowned brands, including Nike, Beats by Dre, Unilever, Samsung, Google, and Johnson & Johnson. Martin Sorrell founded WPP in 1985. WPP companies provide clients with advertising, media investment management, data investment management, public relations and public affairs, branding and identity, healthcare communications, direct, interactive and Internet marketing, and special communication services. Sorrell has been publicly recognized with a number of awards, including the Harvard Business School Alumni Achievement Award, and received a knighthood in January 2000. 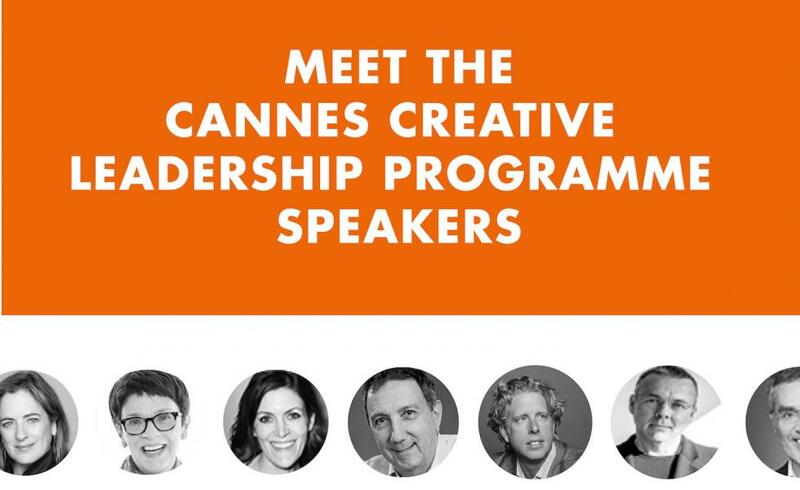 Cannes Creative Leaders Programme: From the Top Down!